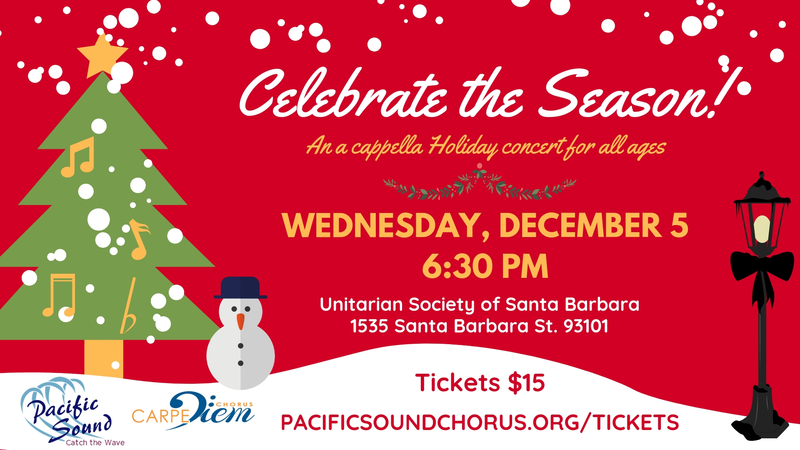 Come join Pacific Sound Chorus and Carpe Diem Chorus as we celebrate one of our favorite times of year! Traditional carols, updated classics, and much, much more will be waiting for you at this joyous event. We can't wait to see you there!